Garmin, a well-known brand in the wearable segment today announced the launch of its hybrid smartwatch, the Vivomove HR. The Vivomove HR will be available in a single black colour option in India and that too in a larger size. This hybrid smartwatch from Garmin will set you back by Rs 15,999 and will be available at select Helios stores, soon followed by all the leading e-commerce portals in the country. The Vivomove HR offers a touchscreen display, heart rate sensor, all the Garmin’s fitness tools and promising battery life. The Garmin Vivomove HR is one of the gorgeous looking smartwatches out there. The highlight of the hybrid watch is the touchscreen with a discreet display, which means the precision hands show the time and dynamically move away when you swipe through your messages, heart rate, and other features. As stated, it comes with a heart rate sensor allowing users to monitor their heart rate on the go. And it comes with several wellness monitoring tools such as all-day stress tracking and relaxation timer to help you manage your stress levels and maintain a healthy lifestyle. This latest product by Garmin includes fitness monitoring tools and displays the steps taken, calories burnt, distance travelled, and heart rate. The weakest point in current generation smartwatches is the battery life. 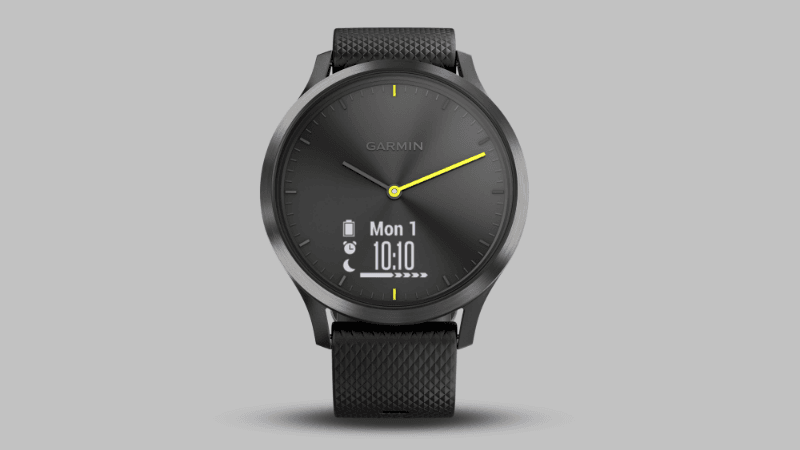 The Vivomove HR is rated to offer battery life of up to two weeks, but Garmin has included two watch modes. The smartwatch will deliver battery life of up to five days in smart mode and up to two weeks in watch mode. Users never have to start or stop your activity timer each time you begin walking. It also comes with some additional features such as smart notifications, weather, find my phone, music control, find my watch, and is compatible with iPhone, Android, and Windows. Garmin, a couple of weeks back launched the Vivofit 4 fitness band with an year-long battery life.